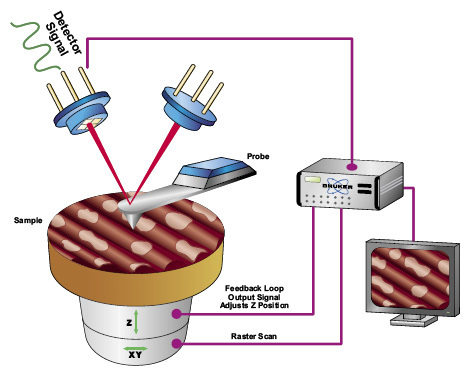 Scanning Probe Microscopy (SPM) is a technique to provide spatially localized three-dimensional information by raster scanning a sharp probe and a surface in close proximity relative to each other and monitoring probe-sample interactions. 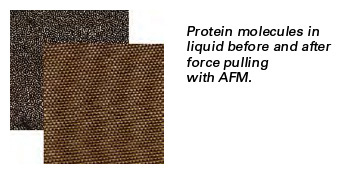 Depending on the interaction, a variety of surface properties can be measured in addition to topographic information, such as electrical, magnetic, and nanomechanical data. The main SPM scan modes are contact mode, TappingMode™,and PeakForce Tapping™ Mode, and these build the foundation of all advanced scanning techniques.